The Tom Evans Linear A and Linear B amplifiers are truly revolutionary, ground-breaking designs. Both the Linear A stereo amp, and the Linear B monoblock amps are ultra-wide bandwidth designs with vanishingly low levels of distortion. More importantly, unlike some other amps with those same two qualities, these amps are incredibly involving and a joy to listen to. The Tom Evans Linear B monoblock amps differ significantly in design from the Linear A stereo amp. The Linear B is not simply a monoblock iteration of the Linear A, but is a new breed of power amplifier. The Linear B uses Differential Global Feedback, a world first. 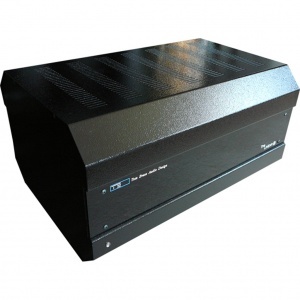 As a 55 watt mono amplifier, the Linear B is able to produce 150 decibels of dynamic range. 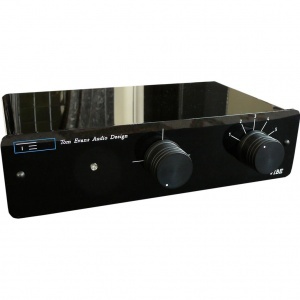 The output transformers have been designed to produce real power into loudspeaker impedances of 3 ohms and above.